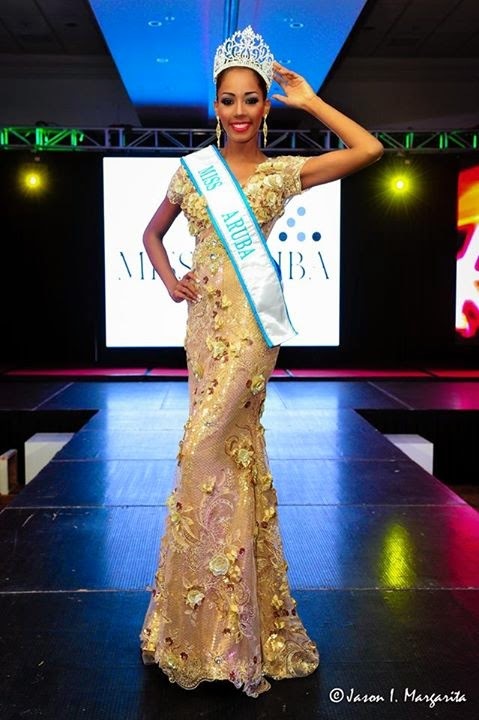 20 year old Digene Zimmerman was crowned Miss Aruba 2014 at the Aruba Marriott Resort in Palm Beach on August 22. She will represent Aruba in Miss Universe 2014 pageant later this year. Finishing in second place was Joitza Henriquez (21) who was crowned Miss World Aruba 2014 and will enter Miss World 2014 contest in London, England on December 14.